Beer can chicken has been a staple in my house ever since our friends Carol & Gary introduced us to this simple cooking method years ago. It takes about 5 minutes to prepare the chicken, you get to drink half a beer as you prepare it, and it comes out perfect every time, no basting required. The inside of the chicken is moist and all of the skin is crisp on the outside. What's not to love? 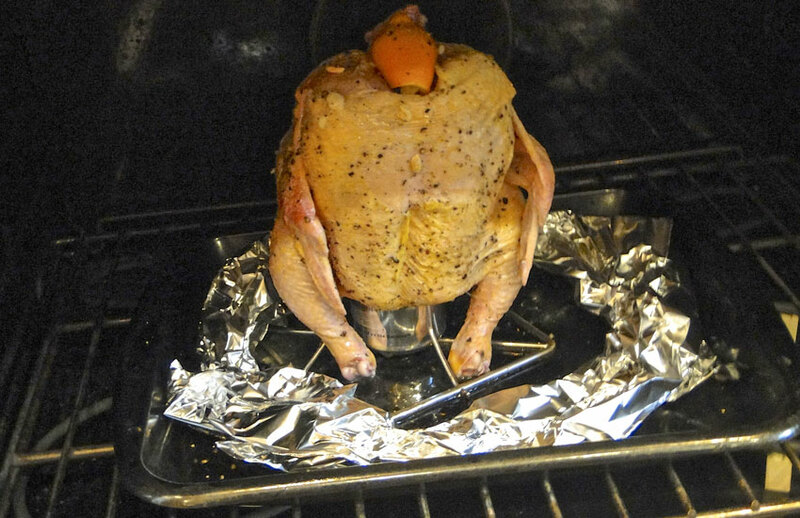 Cooking chicken vertically is a good idea. This is absolutely true. 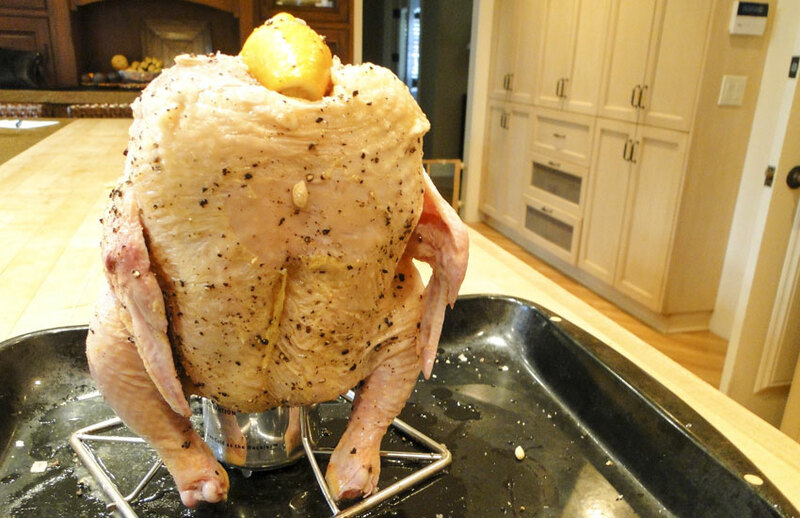 Vertically cooking chicken results in perfectly crisped skin for the entire bird. Forget white meat or dark meat preferences, there is no tastier part of a chicken than crispy skin. Yay! One great point for beer can chicken. 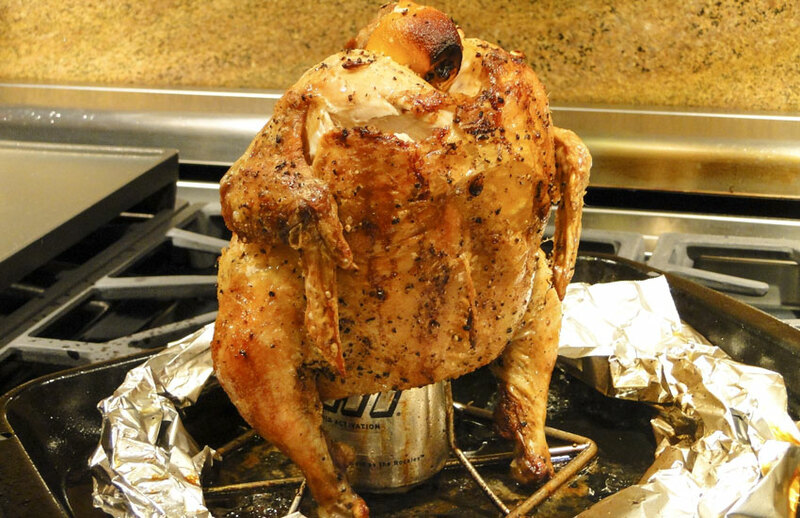 The beer in the can does not actually heat up enough to steam the inside of the chicken. This is evidenced by weighing the can before and after cooking. No discernible weight change means no significant steaming. 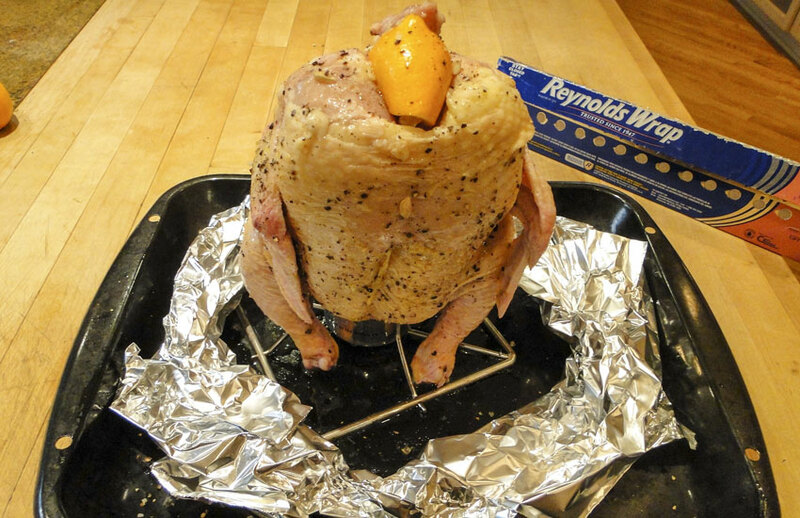 The beer can actually prevents the bird from cooking from the inside so all the heat must penetrate the bird from the outside. The ink on cans is not food grade, even Anheuser-Busch, will not endorse using their beer cans for beer can chicken. Bummer! The first two points may be scientifically true, but my beer can chicken was always moist and thoroughly cooked. The last point, however got my attention. I'm working hard to get rid of teflon pans to avoid PFC's, so cooking with non-food quality ink? That doesn't feel right. 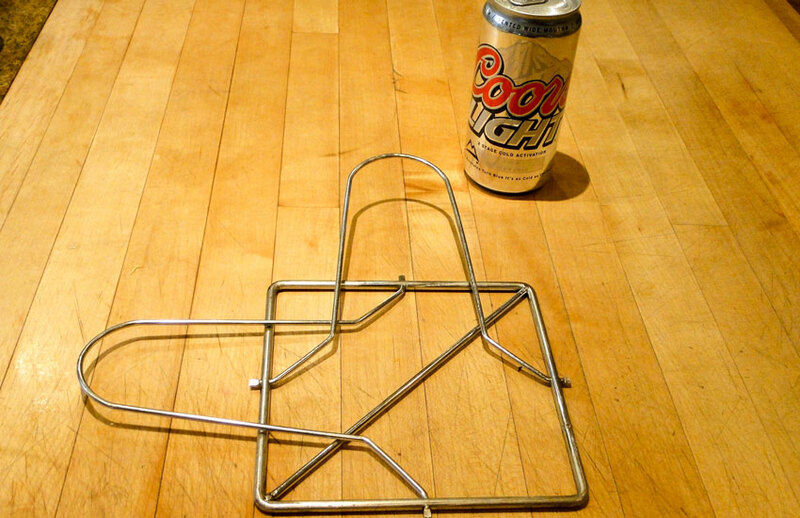 Keep using your beer can chicken holder, just skip the beer can. The first time I tried this, I was very pleased to find the chicken cooked 15 minutes faster than it did with a beer can. In my book, shorter cooking time is a big benefit for losing the beer can. 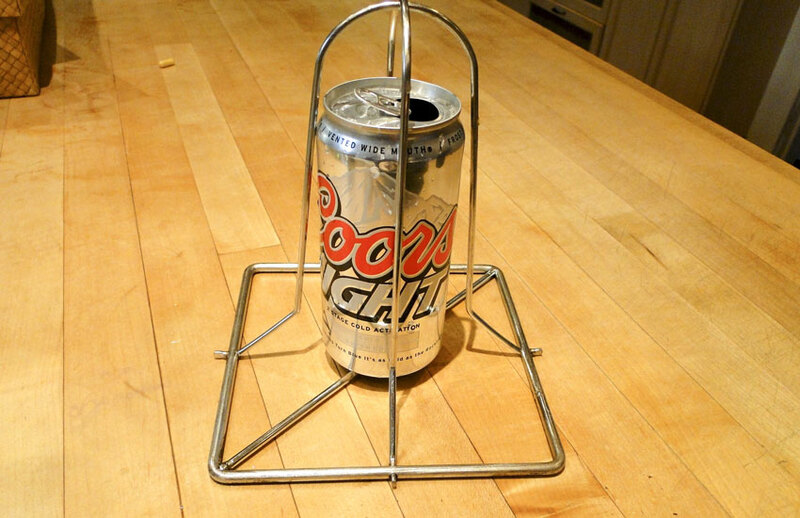 The beer can stand works just fine without the beer, just make sure your stand is tall enough to hold the chicken and wide enough so that it doesn't tip over easily. 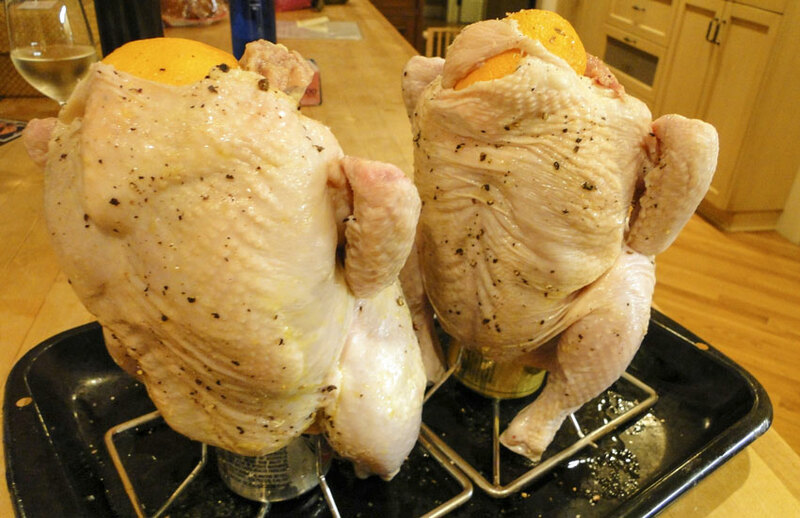 Because you are not worried about steaming the inside of the chicken, there is no need to put lemon caps on the top of the chickens as was recommended for beer can chicken. 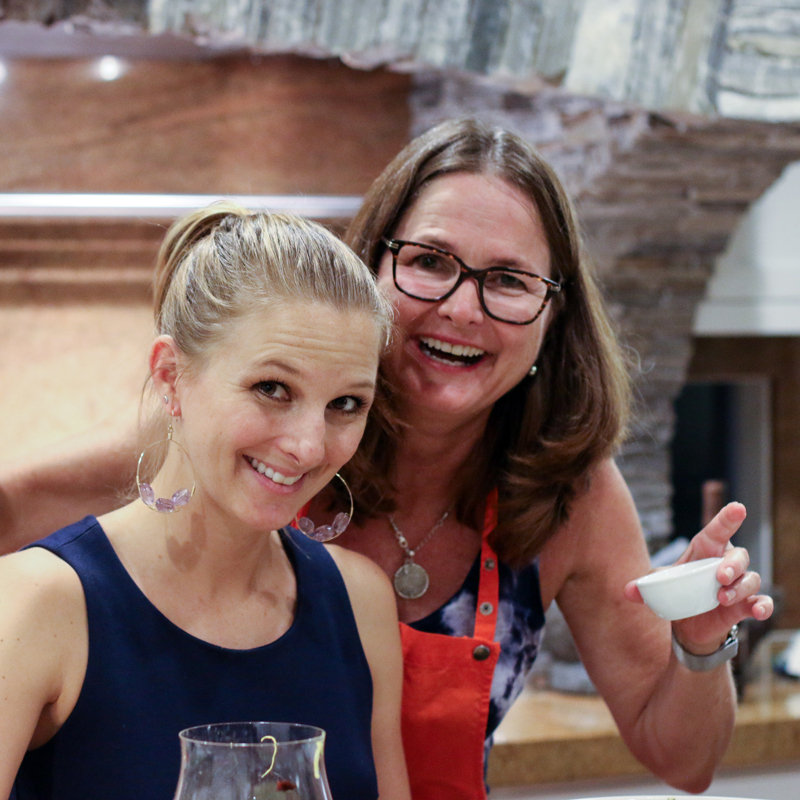 Of course after I served my first beer-less beer can chicken my daughter Margo said, "I don't think it is as moist or flavorful as beer can chicken." Hummph! To resolve the issue my husband did a side-by-side test. He cooked two chickens, both in the beer can holders, one with a beer can and one without. The results: Five of us tasted both birds and we could not tell the difference between the cooking methods. 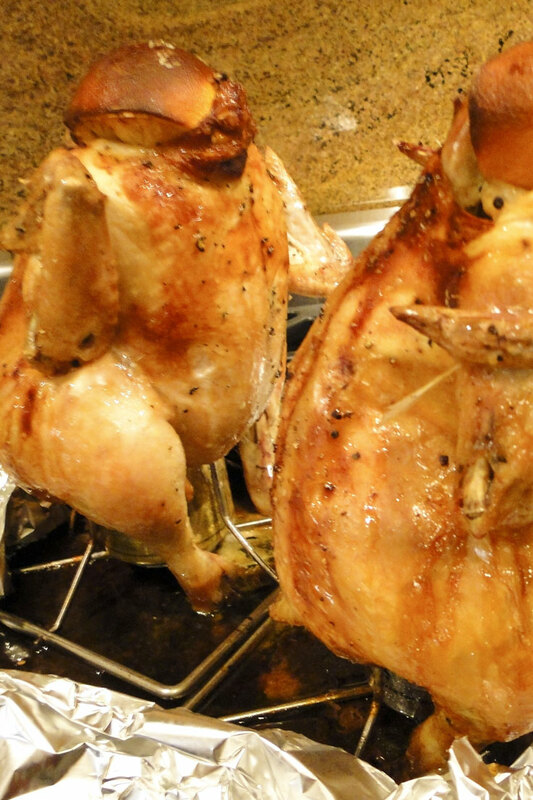 Beer can chicken, with or without the beer is a low labor, high quality endeavor. They both turn out very well. I really like the benefit of cooking the chicken 15 minutes faster without the can. I'm not so wild about the idea of cooking with beer can non-food-grade ink, but I really like having half a beer as I make the chicken. 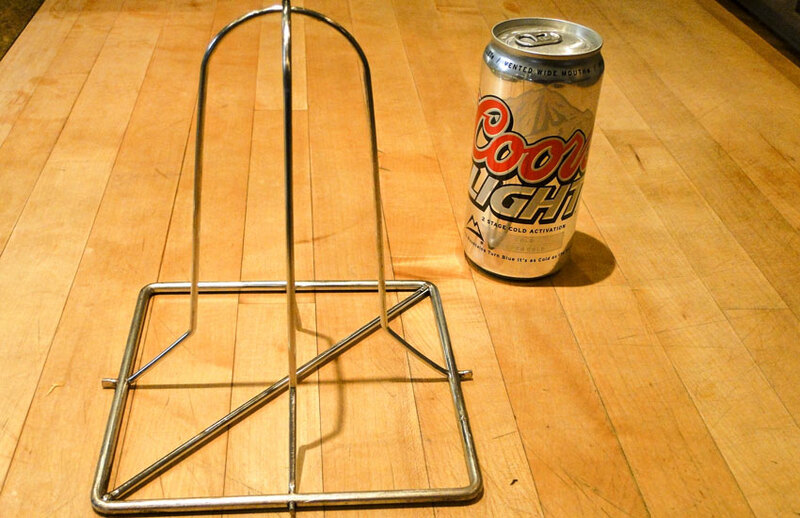 My solution is to use the beer can chicken holder without the beer can and drink a beer instead. Not a bad compromise. 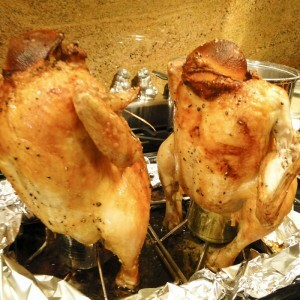 While you are at it, cook two chickens at once. 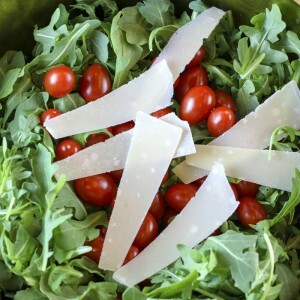 One for dinner tonight, and one to use in sandwiches, caesar salad and risotto later in the week. 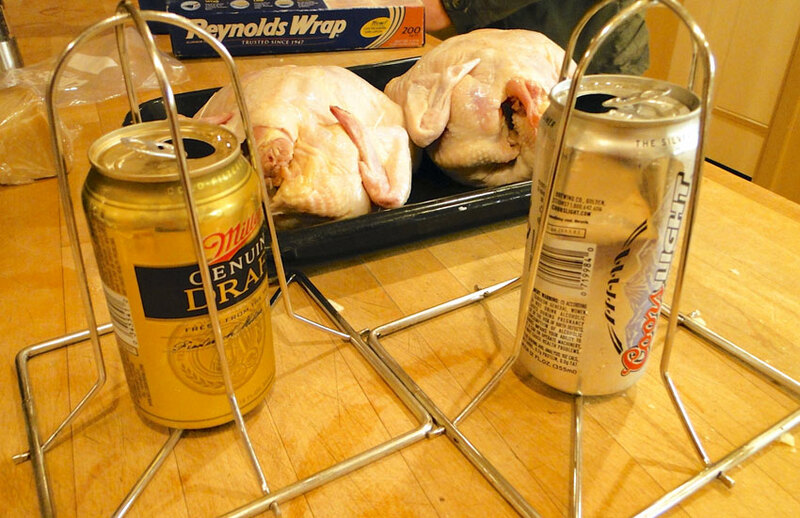 There are a wide variety of beer can chicken holders on the market. I personally like one that is foldable so it takes less room to store. Amazon sells a wide variety. 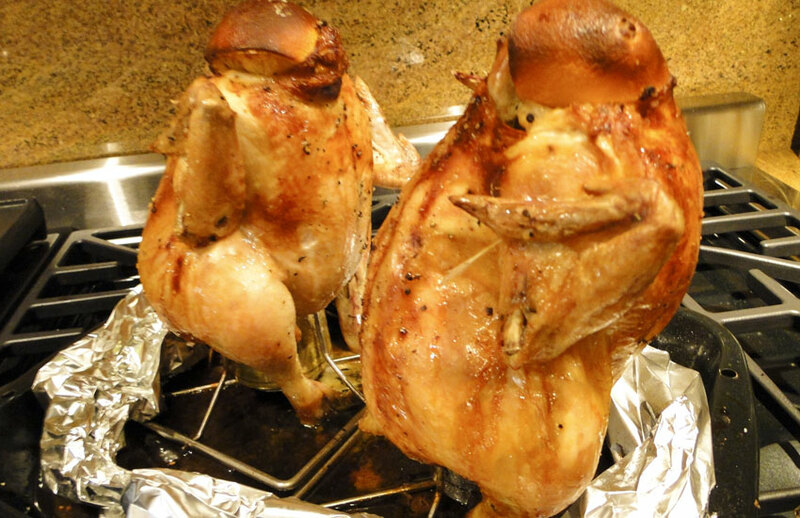 You can make beer can chicken in the oven or on the grill. To minimize grease splatter on the inside of your oven make sure to follow the directions in the recipe and make a tin foil lei around the chicken. See photos below. Also make sure you thoroughly wipe down the inside of your oven after you cook the chicken to remove any grease that is in the oven after you roast it. Don't attempt to remove the bird from the beer can holder. Trying to remove the hot slippery bird is a recipe for disaster, and possibly a painful disaster. Instead, simply carve the meat off the bird when it is standing upright in the stand. The Bounty Hunter, a wine bar in in Napa, actually brings the chicken to your table in the beer can stand and gives you a big knife to hack away. 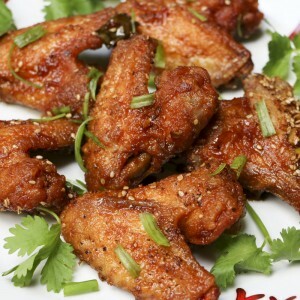 Check out their spicy beer can chicken recipe for the grill. 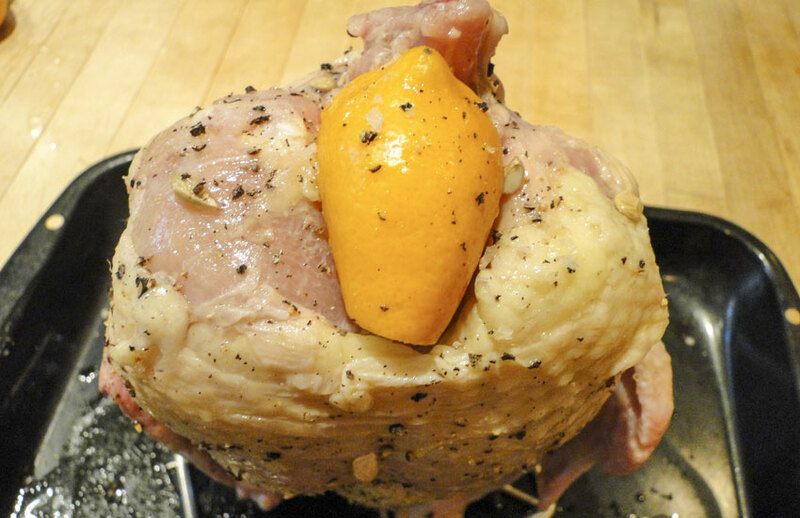 Below is a very simple beer can chicken recipe, seasoned with just olive oil, lemon, salt and pepper. 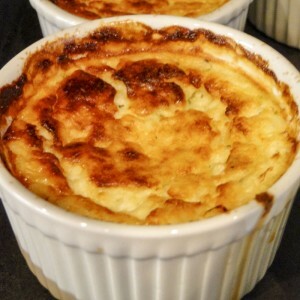 You can always get fancier, but this simple recipe will work every time. And that is the beauty of beer can and beer can-less chicken. Cook up a delicious beer-can-like chicken, but without the beer can. Use this method to shave off 15 minutes of cooking time and get a perfect skin-crisped roast chicken every time. Heat oven to 350 degrees. 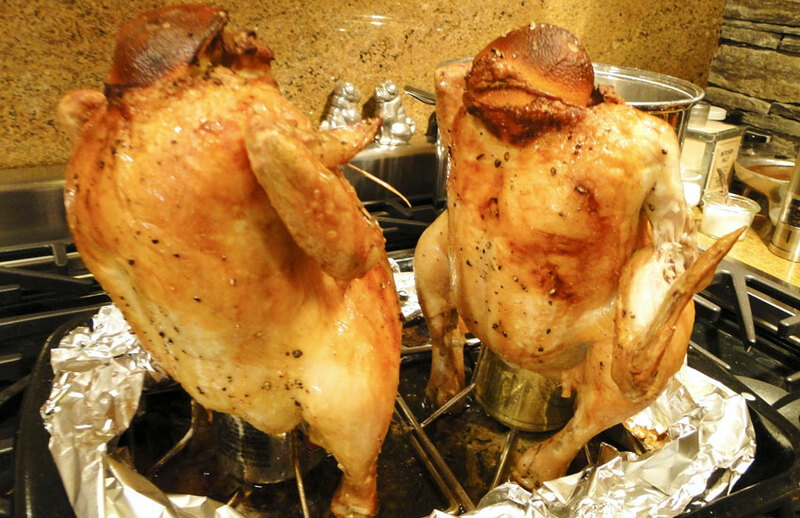 Dry your chickens and slip the beer can chicken holders up their cavities. Set on a roasting pan. Rub the chickens with olive oil. 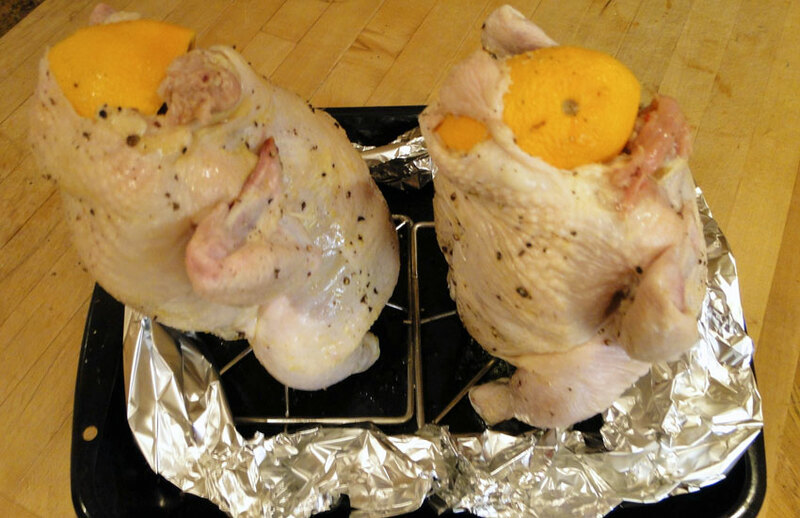 Squeeze a half lemon over each of the chickens. Generously salt and pepper the entire chicken. 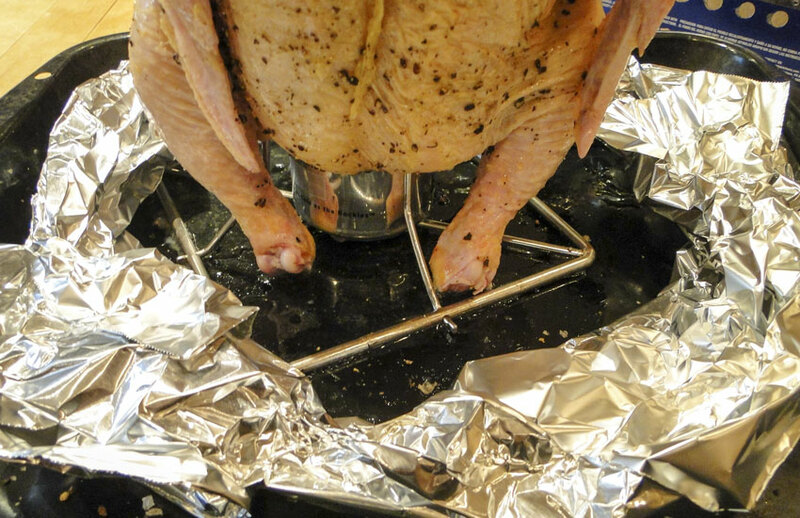 Make a foil lei by crumpling a length of aluminum foil and encircle the chickens. See the picture in the slider. This is really important because it keeps the grease from splattering all over the oven. Put the chickens in the oven and set timer for an hour. No need to baste. 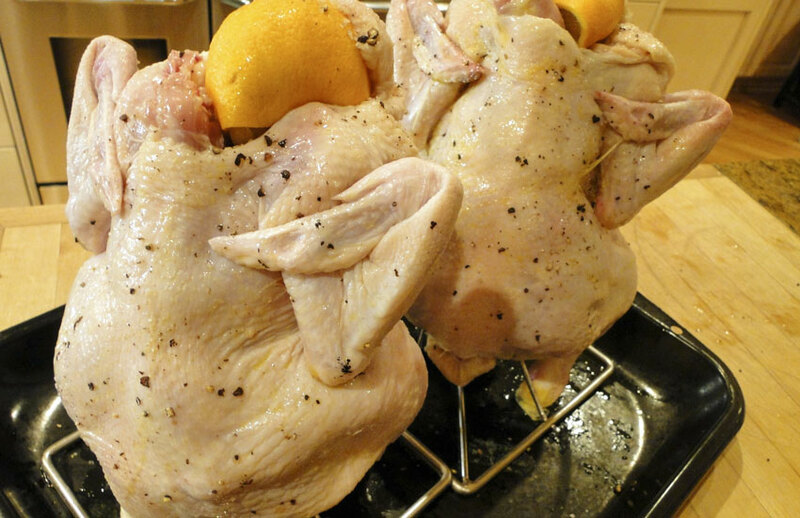 At an hour take the chicken out and pull gently on a leg. If it pulls a way easily and the juices run clear it is done. 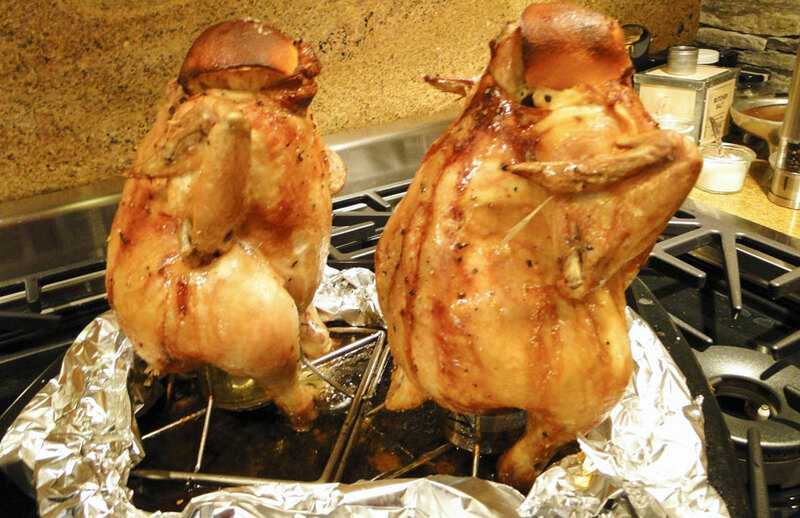 When done, remove the chickens from the oven and let stand for 10 minutes before carving. I like to carve the chicken right off the stand. Can’t wait to try this!! The photos really help…keep ’em coming! 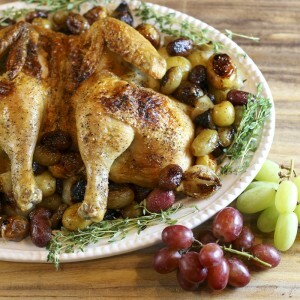 No reason to buy a cooked chicken at the market anymore – this looks so easy! Great post and great pictures! I still say cooking on a beer can is great — and there have been some tests done to prove it’s perfectly safe. Still, there are plenty of vertical roasters out there…to each his own. Thanks! I’d love to see the studies. We ate beer can chicken for years, only recently have I opted to forgo the can. Multiple family members think it is better with the beer can! I personally have switched to a vertical roaster, but my family misses the beer. I’m not sure if it is the idea of the beer or whether it really makes it better. 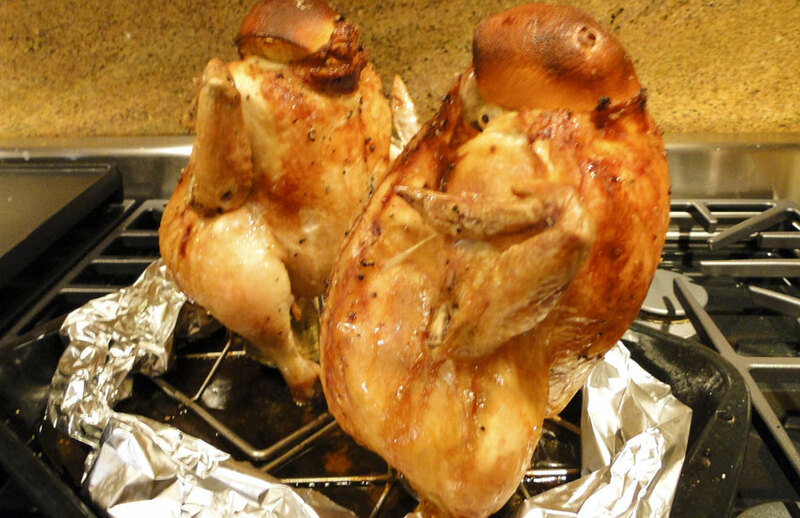 The one thing I am confident of is with or without the beer, vertical roasted chicken is delicious and so easy! I wonder if they used a grill or an oven for the testing. In an oven I can see how the beer wouldn’t steam. However, it seems as though a grill could get hot enough to vaporize the beer as the heat is coming in direct contact with the can. Hi Steve, I skimmed the article again and could not find whether or not they used an oven or a grill, but they did mention “removing it from the grill” once in the article, so they may have used the grill. Here is the link to the article, which goes deep into beer can chicken. Although I have switched my method to beer can chicken without the beer can, my family firmly believes the beer can makes the chicken better. Haha! Meathead and others are correct about not using the beer can. Its not safe and the heated metal of the can sends off a lot of chemicals that you don’t want in your food. Be safe people and smoke your chicken without the can it still comes out juicy. Thanks Eddie. It makes perfect sense to me and I find the chicken just as delicious without the can!